SBCISD is allegedly facing accusations of unethical practices regarding their MOU (memorandum of understanding) signed with Southwest Key Programs. The alleged unethical practices include consciously ignoring federal and state policies in order to qualify for state and federal funds disbursed to education programs for refugee children seeking asylum. 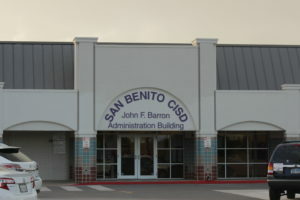 The district had jumped on board to educate refugee children located in Southwest Key facilities after Brownsville ISD and Harlingen had adopted similar positions, but a recent letter from TEA (Texas Education Agency) abandoned any position the agency had on providing state funds to districts co-operating with refugee centers such as SWK, saying that the responsibility ultimately falls to the federal government. This decision from TEA terminates the agreement between SBCISD and SWK, meaning the education of these children will no longer be SBCISD’s responsibility (see “TEA disallows funds”).